LOOKING FOR A SKILLED GUNSMITH? 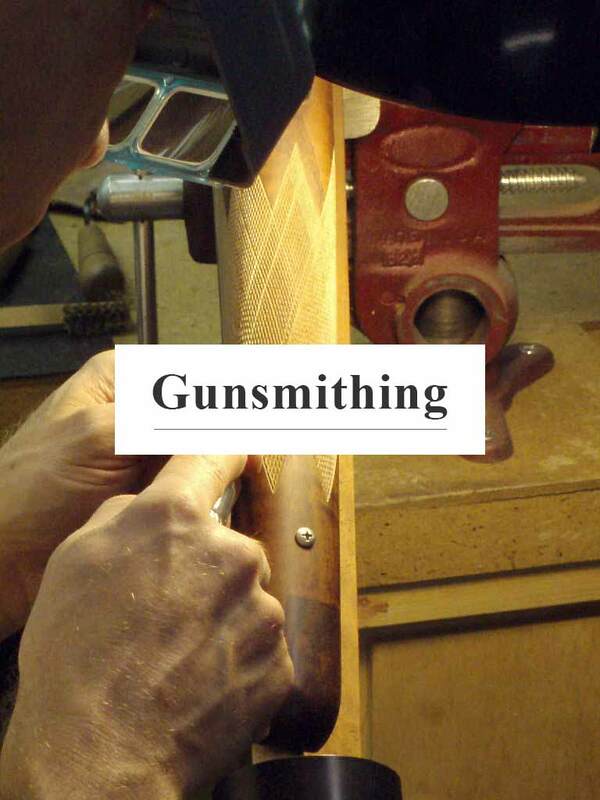 For many people, the term “gunsmith” conjures up the image of some bespectacled, older gentleman who is surrounded by an array of broken firearms while he is tediously repairing a cracked stock. And while all aspects of gun repair are within our capabilities, there is much more that we offer. Most factory firearms can benefit greatly from some form of gunsmithing. Some examples are a trigger job to improve the generally horrible factory weight and creep, different sights or optics for different shooter application, the installation of recoil pads, recoil reduction devices or muzzle brakes to help tame a heavy kicker, fitting of aftermarket accessories and application of finishes such as bluing, parkerizing or even high tech coating such as DuraCoat. We can even build that custom dream firearms and of course, competent firearm repair. Contact us to see how we can help you maximize the potential of your favorite firearm. When you need to speak with a professional gunsmith, there’s no better place in Montana than Empire Arms & Ammo. Unmatched quality and service at a price you can afford. Get in contact with us today to learn more! Empire Arms & Ammo is a full service gun shop with a wide selection of handguns, rifles, shotguns, assault rifles, tactical gear, and much more. Not only do we carry the some of the highest quality equipment in Montana but we service it too. With an in-house gunsmith ready to help you with anything you might need, you can rest assured that you will be taken care of when you stop into our store.